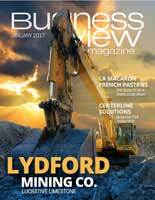 Business View Magazine profiles Terrace British Columbia, a Regional supply and service center with a population of 12,500. Skeena River Valley. Centrally located in northwest British Columbia, the city of Terrace operates as the supply and service center for the region, catering to the communities of Prince Rupert to the west, Kitimat to the south, and north into the Nass Valley. Traditionally a forestry town, the city has been busy reinventing itself since the downturn of the lumber industry in the 1990s. A diversifying regional economy and growth in cultural tourism embracing local First Nations heritage has redefined the city and region. 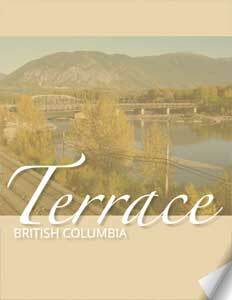 Geographically speaking, Terrace is 550 air miles northwest of Vancouver, 37 miles from the Pacific Ocean, and sits on a series of natural flat ‘benches’ or terraces within the scenic Skeena River Valley. At 196 feet above sea level, in the shelter of the Coast Mountains, the region benefits from a climatic ‘greenhouse’ effect. Moderate temperatures and rainfall optimize growth of a variety of fruit, including delicious cherries, and other specialty crops. The junction of the Skeena and the Kitsumkalum Rivers was originally the site of Tsimshian First Nation Settlements, and fur trading and gold prospecting were the principal activities in the area from 1770 to 1900. In the early 1890s, a steamboat route was established up the Skeena, and in 1905, George Little staked his claim, and purchased land in what is now Terrace. A forward-thinker, Little gave land to the Grand Trunk Pacific Railway to accommodate the location of a railway station in Terrace, rather than Kitsumkalum. It was a smart move. The town was incorporated in 1927 and existed as a sawmill community until World War II. 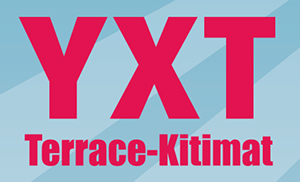 In the early 1950s, Terrace had a population of 350 and began serving as a distribution center for the new town of Kitimat. With the establishment of the Canadian Cellulose Company, wood processing became a major industry. Terrace was once known as the “Cedar Pole Capital” of the world – manufacturing over 50,000 telephone and electric power poles annually to supply the North American market. The world’s tallest pole (162 feet) was cut in Terrace, and currently stands in New York City. There are big plans for Liquid Natural Gas (LNG) opportunities coming to the region, but final investment decisions have been delayed on that front. Still, City of Terrace Communications & Business Development intern, Brian Doddridge, states, “We’re not feeling discouraged about that. We have a number of initiatives put forward to diversify our local economy, and encourage many different industrial and commercial investments in the community.” The recent final investment decision by AltaGas to proceed with construction of a $500 Million propane export facility in neighboring Prince Rupert gives credence to the city’s optimism. Coinciding with these industrial developments and LNG activity, interest in land for residential development has increased, as have housing starts. Single family homes and multi-family developments are underway, and the first phase of a 35-unit townhouse complex was just completed. Professional services, materials equipment, industrial and commercial supply for institutional health and education are others key components in the city’s regional role. Terrace is home to the largest campus of Northwest Community College and has a University of British Columbia satellite campus. Also, the biggest hospital in the area is located here, with the highest concentration of medical services. In that regard, Terrace is keeping a strong focus on the health and vibrancy of its downtown, as many of the medical professional services for the NW region are located there. Revitalization of the downtown core for retail and professional services has been in the forefront since 2008. Of note: a revitalization tax incentive program for new downtown development with a 5-year exemption of 100 percent of the value of any improvements. Streetscape renewal to enhance walkability is also ongoing. 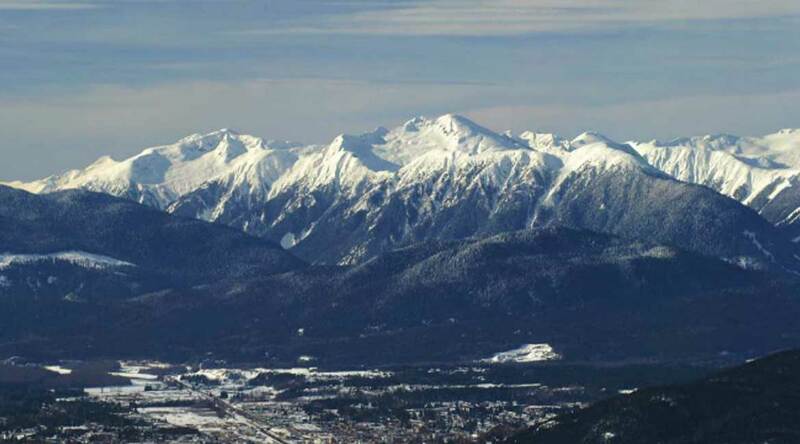 Terrace is a member city of the Province of BC Climate Action Charter with clear goals to reduce greenhouse gas emissions – as a municipal corporation, and community wide. Outreach and education through the City Planning Department offers opportunities for residents and businesses to participate in achieving energy reductions. Cultural tourism is another growing market in the region. With close to 20 percent of the NW area population being of First Nations descent, their heritage sites and museums are drawing visitors eager to experience the natural beauty and history of the Skeen River and Nass Valley. Check out this handpicked feature on Dorval Quebec – It’s Great to Live in Dorval!